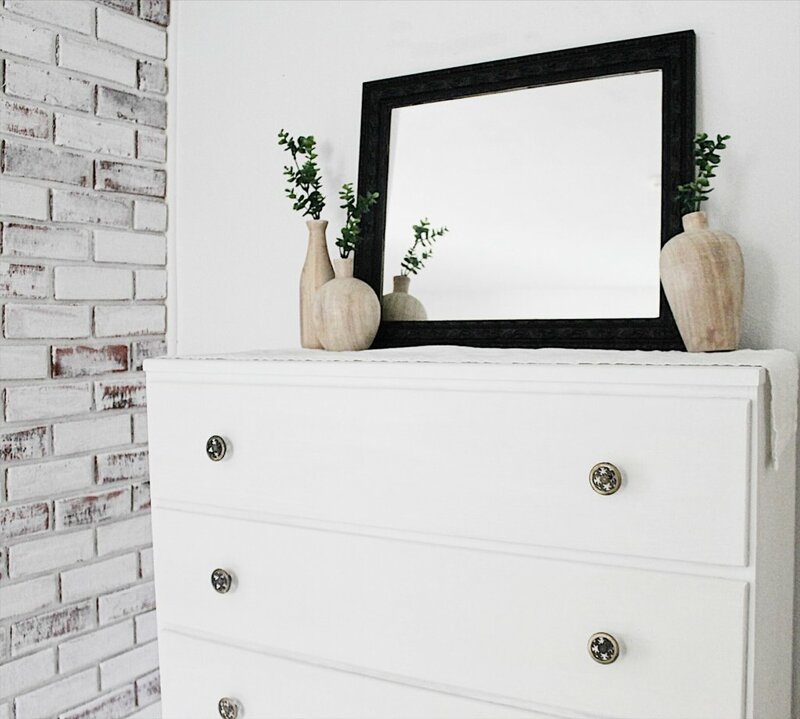 I’m so excited to show you guys my latest vintage dresser makeover today!! The only thing better than finding a great piece of thrift store furniture is when a piece comes to you through a loved one. This dresser belonged to my grandma and I’m so happy to have a piece of her with me! For this transformation I used Rustoleum chalk paint in Linen. Loving that it had just a hint of gray to contrast with our pure white walls. 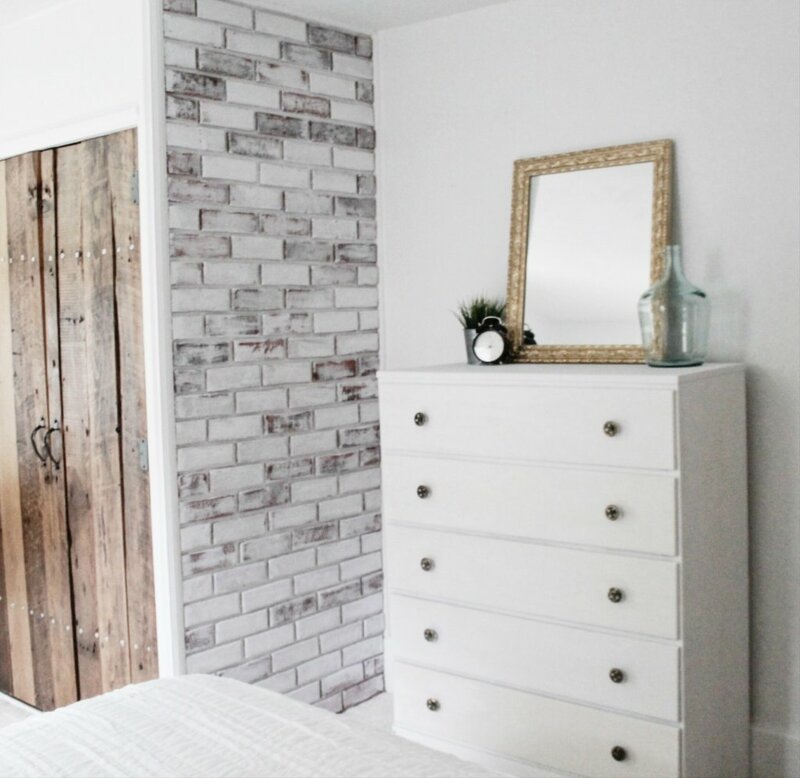 I also used the chalk paint to whitewash the brick in our bedroom, and I loved the effect! Worth noting–I actually used the original hardware for this transformation, which almost never happens but I loved the shape and natural patina! I really wasn’t digging the gold mirror at all, so I asked you guys on Instagram what I should do. There was a resounding vote to paint the mirror black, so that’s exactly what I did! And aren’t those wooden vases to die for!? They arrived from Magnolia this morning and I just couldn’t wait to share them with you guys! I feel like they just bring the whole thing together. Now that this corner of the bedroom is shaping up, I’m getting excited to reveal our complete bedroom makeover with you guys!!!! 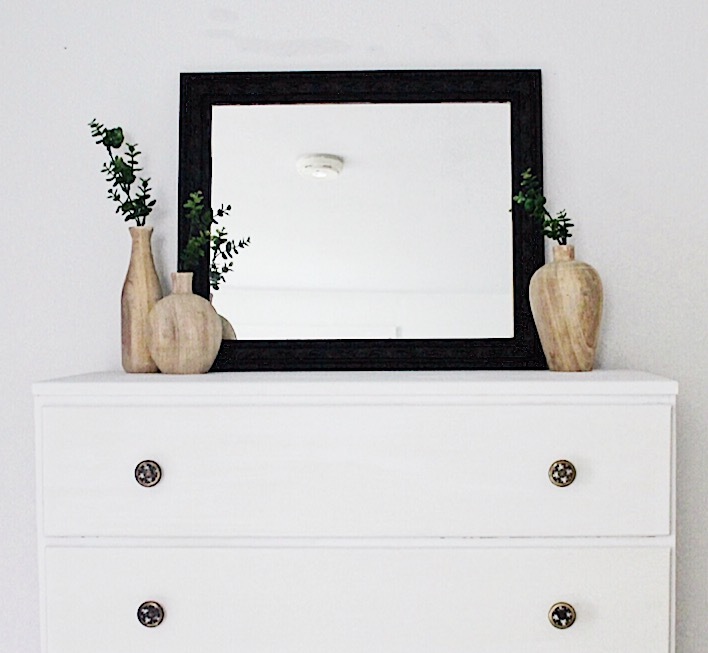 Thanks for stopping by and I hope this vintage dresser makeover inspires you guys!!! Wow this looks amazing, has inspired me to finish painting my daughter’s bookcase this weekend which has been sitting in the garage primed for a while! Aww yay!!! I’m sure it will look amazing!!! 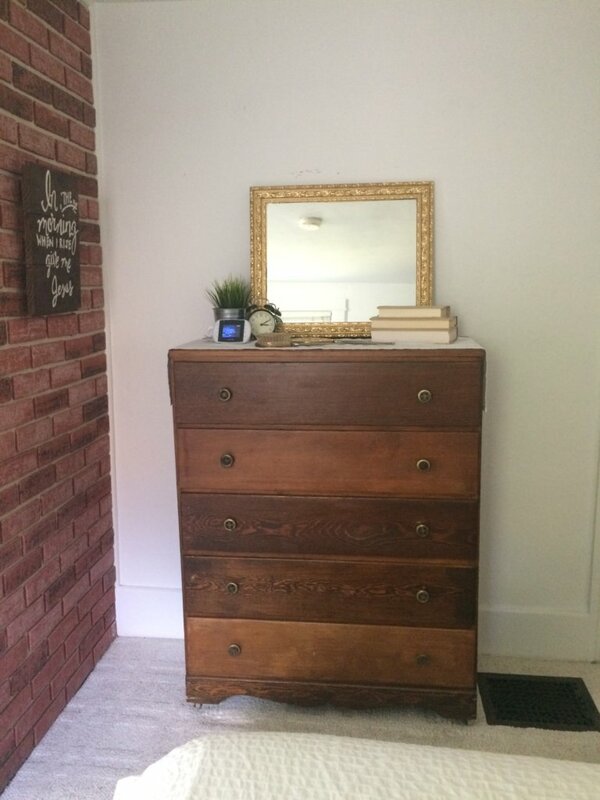 What a lovely dresser, I’m glad your grandmother’s dresser is now a part of your home. Thank you so much, friend!! I couldn’t be happier to have it!